Sleeper is excited to announce the launch of our season-long fantasy football leagues. We took a familiar game that people know and love, and focused on making it more social and fun. 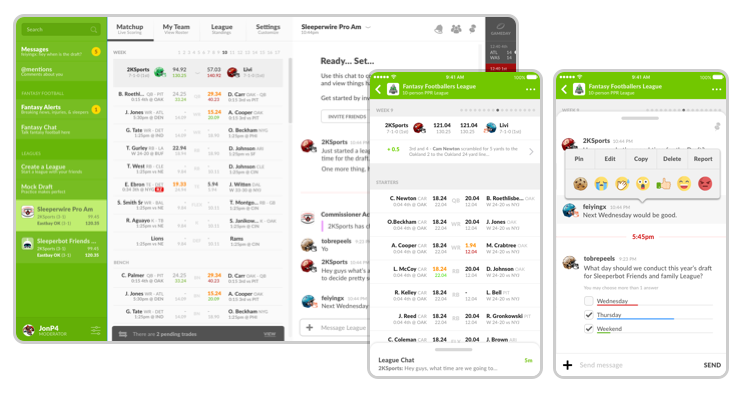 Sleeper leagues make it easier for you to communicate with your friends while playing fantasy football. 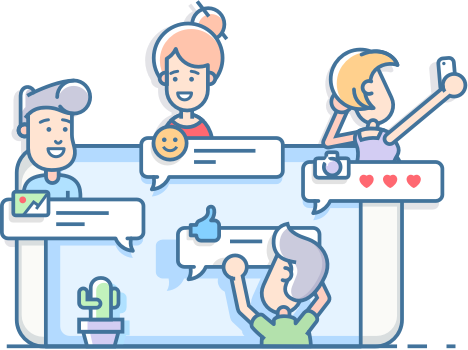 You will no longer need to resort to email, text messages, or Facebook groups to chat with and smack talk each other. Competition and conversations go hand-in-hand, and we wanted to provide a seamless experience for both on one platform. In addition, we created modern apps for iOS, Android, and Desktop.Season-long league software hasn’t changed much in the past 15 years, and still primarily run on old archaic technology. We saw an opportunity to provide faster tech, improved features, and better design to improve the user experience. Simplified league creation and invitation process — league setup in under a minute, magical invitation links that just work for every platform. Hassle-free league coordination — chat environment for your league with polls to figure out draft time, and easy to understand scoring and roster settings. Improved drafting experience — fully editable draft board that you can cast to TV for live draft parties, which comes in light and dark themes. Fantasy-relevant live scoring and statistics. 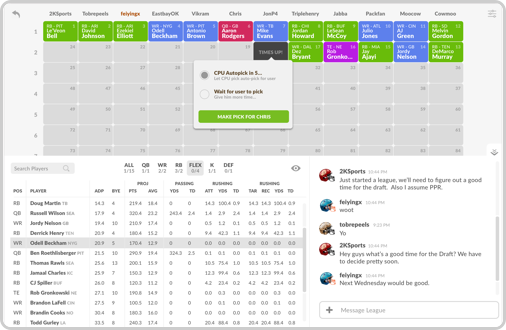 Instead of having to look at generic box scores, we’ll do the work for you and provide you with game-day information that is contextual and fantasy-focused. No Ads — we don’t make money serving ads, we make money selling roster skins, avatars & stickers. Lastly, one of the biggest differences you will notice is how fast everything loads on both mobile & web apps compared to Yahoo! & ESPN. We know that you spend a lot of time in your league, and having everything load instantly and not require constant refreshing was a priority for us. There are even more features in store for Sleeper, and we hope that you will continue to support us as we grow. I’d encourage you to set up a league with friends and start playing this season. It only takes a minute to set up, you’ll wonder why you ever played on the old platforms at all! We’re here to ensure that you guys have a fun and fulfilling season ahead, and will be around to help if you have any questions with your leagues. Don’t hesitate to email me directly: [email protected]. Create a league on Sleeper to see for yourself.